I am a Beauty Heroes Brand Ambassador! 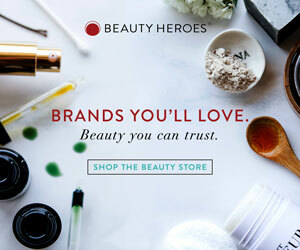 I’ve stated time and time again that Beauty Heroes is undoubtedly the best green beauty subscription service on the market. They hand pick the best natural brands, work closely with brand founders, and put a lot of time and effort into their curations (and their boxes always arrive on time!). A few months ago, I received an email from Beauty Heroes founder Jeannie Jarnot, and after sorting out the Melbourne-San Francisco time difference, we spoke for an hour over Skype. I’ve been trying their curations since, and I now have the proud distinction of being their first ever male/Australia-based ambassador. I can’t tell you how honoured and humbled I am to be associated with one of my favourite green beauty brands! I guess you all know by now that I love Beauty Heroes. I genuinely think that it’s the best beauty subscription service around, and it continues to wow me every month. I liked last month’s box, however, some of the products didn’t really suit my hair type, so I had my fingers crossed for this month’s box. I’m glad to report that this month’s box not only met my expectations, but far exceeded it. I love the products so much that I’d call it my favourite Beauty Heroes box so far (this is my fourth box).